Nordic region’s leading corporate housing provider Forenom completes its second acquisition within a month in Sweden by acquiring APARTMENT HS AB. With this new acquisition with over 500 apartments, Forenom expands to offer more long stay accommodation and becomes a market leader in serviced apartments market in Sweden. 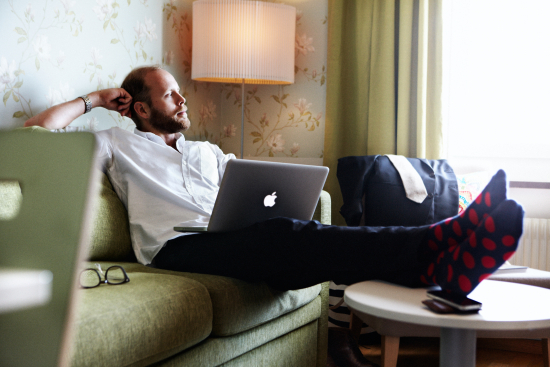 In Stockholm alone, 25 % of the city’s serviced apartment offering is covered by Forenom. Forenom has concluded an agreement to purchase the APARTMENT HS AB, with over 500 apartments in Stockholm and its surrounding areas. APARTMENT HS AB was founded in 1996 to offer accommodation for personnel working temporarily in Stockholm with the need for alternatives to traditional hotel accommodation. Both companies are specialized in providing accommodation solutions for extended-stay business customers who want to live a normal life while staying abroad. Forenom’s strategic goal is to become #1 in the North European serviced apartments business with the most extensive selection of staff accommodation services. The transaction strengthens especially Forenom’s long stay offering in Sweden. All together the company offers now 1800 accommodation options in serviced apartments and hotel apartments in Swedish growth centres. – We are excited to serve our business customers now with the greatest range of serviced apartments and aparthotels in Sweden. We want to be #1 in the North European serviced apartments business, and in Sweden our next step is to complete our offering with budget options such as hostels designed especially for business needs, says Forenom CEO Johannes Kangas. – The trust we build in long-term relationships with our stakeholders is the most important thing in this business. We chose Forenom carefully based on their long Nordic expertise, but also because we share the same values and goals for developing serviced apartment field. We are certain this cooperation will benefit all parties, adds APARTMENT HS AB CEO Kathinka Silfverhielm. Forenom is the only serviced apartment provider operating in all Northern countries of Sweden, Norway, Denmark and Finland. Due to organic growth supported by strong Nordic corporate relationships, Forenom is the local market leader in Finland and Norway. In Sweden, Forenom strengthened its portfolio recently with new offices in Malmö and Gothenburg, and by acquiring the Swedish leading aparthotel chain StayAt. The acquisition of APARTMENT HS AB is effective starting April 4th, 2018 after which Forenom is the market leader of serviced apartmentalso in Sweden. All recent growth actions support Forenom’s strategic goal to become #1 in the North European serviced apartments business. Serviced apartments offer facilities much like a traditional hotel but with added space, convenience and privacy like home. They have private cooking facilities, larger living and sleeping areas than most standard hotel rooms and the possibility to add hotel services. Serviced apartment as an expression has been mostly used in the business travel market, but consumers are now getting more familiar with the option of homelike living due to the growth of sharing economy channels. Forenom has a professional track record of 18 years as a provider of highly versatile corporate housing solutions in the Nordic countries. Forenom manages over 6000 serviced apartments and aparthotel and hostel rooms in all major Scandinavian cities, accommodating over 100 000 travellers every year. Forenom is the Nordic market leader in corporate housing in terms of net sales, currently operating in Finland, Sweden, Norway and Denmark with 25 local offices and over 450 employees. Forenom’s goal is to continue growing rapidly and become the leading accommodation service provider in Northern Europe. The asset management company CapMan made a significant investment in Forenom in 2016, which is expected to accelerate Forenom’s growth and development opportunities internationally. APARTMENT HS AB was founded in 1996 and has 22 years of experience in subletting apartments to companies. 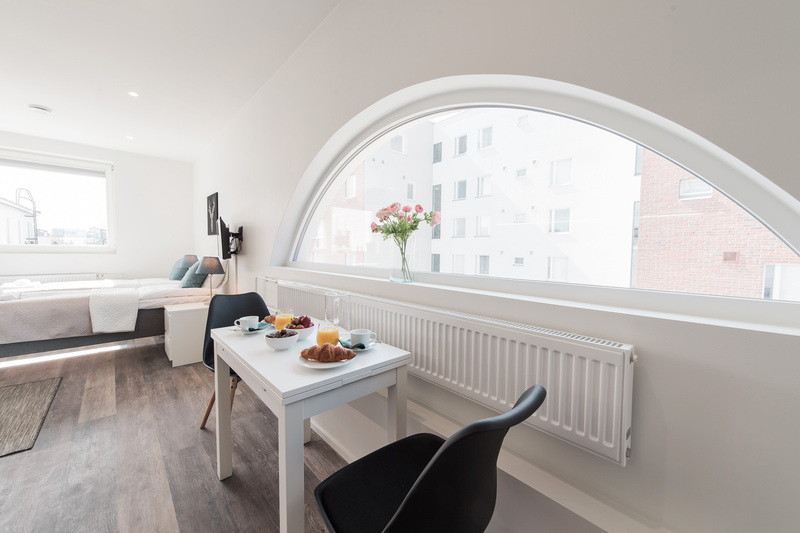 APARTMENT HS AB is specialized in offering accommodation for personnel working temporarily in Stockholm with the need for traditional hotel accommodation alternatives. AHS AB is known for their extensive serviced apartment offering, strong landlord and customer relationships and high customer satisfaction.